Format: 1mg/ml in Phosphate-Buffered Saline (PBS), pH 7.2, 0.09% sodium azide. AU1 is an epitope tag often constructed on the N- or C- terminus of a protein to allow for detection and analysis of the protein. The AU1 sequence represents the amino acid sequence DTYRYI derived from the major capsid protein of bovine papillomavirus-1 (BPV-1). Antigen: AU1 (DTYRYI) conjugated to KLH. Specificity: Antibody was affinity-purified on the peptide. 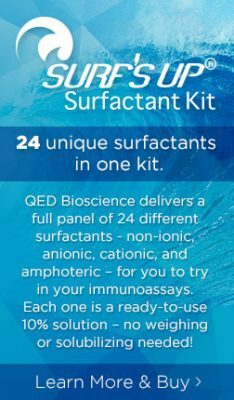 Immunoblotting: use at a dilution of 1:1,000-1:20,000. Immunocytochemistry: use at a dilution of 1:100-1:400. ELISA: for detection use at a dilution of 1:1,000-1:30,000; for coating use at a dilution of 1:100- 1:500. Immunoprecipitation: use at 1-4ug/mg lysate. These are recommended dilutions. Endusers should determine optimal dilutions for their applications. This antibody is stable for at least one (1) year at 2-8°C.